Mobile phones are certainly a must have gadget these days. Most of you will be able to remember when the mobile phone revolution hit the world. It happened almost a decade ago when suddenly everybody started getting mobile phones. In just a few years, the big bulky mobile phones transformed into smaller and more stylish handsets that were bought by everyone and even children. The Tablet PC Revolution – It’s Here!! Now let me tell you that the same is going to happen with tablet PCs. Like mobile phones, tablet PCs started out expensive and now are depreciating their value rapidly. In just a few years, you will see that tablet PCs will be as common as the mobile phones. Today, we are going to review some tablets that are yet to be released and can be expected at the end of 2012 or the first quarter of 2013. 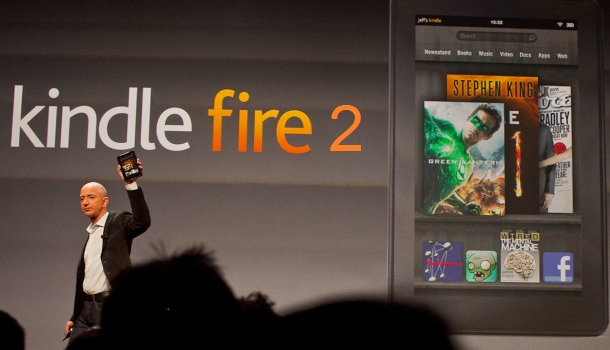 After the immense popularity of Kindle Fire, now Kindle Fire 2 is about to be released by Amazon. Rumors about the specs and price of the device have been floating on the web from the last couple of months. Amazon has taken a bold step by announcing their tablet at a time when iPad Mini is also expected to release. Now the question is that will Kindle Fire 2 give iPad Mini a tough time? 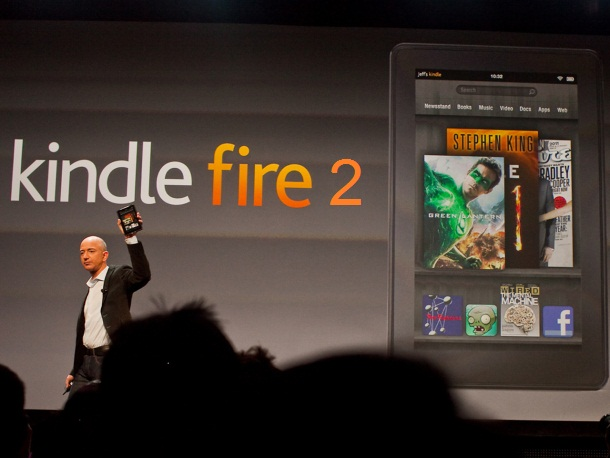 Let us take a look at the expected specs of Kindle Fire 2 to find out. Initially rumors said that Amazon Kindle Fire will be available is both 7inches and 9 inches sizes but later it was confirmed that it will land in the market in only 1 size which is 10.1 inches. This increase in size of Kindle Fire 2 is a very positive step because nowadays almost all the top class tablets are coming in 10.1 inches. Moreover, it will have an impressive HD display which will allow users to watch movies and other stuff in HD quality. Some rumors say that this 10.1 inches device will be released and after some days it will be re-launched in a smaller size, which will be 8.9 inches. As far as the inner features are concerned, there are no confirmed reports yet. However, experts believe that Kindle Fire 2 will be having some high end specs including a Quad Core Processor under the hood. It is also expected that it will run on Google’s powerful operating system Android. The only difference will be that that Google Play Store will be replaced by Amazon’s store. It is impossible that an Apple product is on the verge of releasing and no rumors are floating on the web. Due to the excellent past products, Apple has gained customer’s trust. People believe its products are of the best quality. As reflected by the name of this tablet, it will be small and obviously cheaper that iPad 3. Millions of Apple fans are making anxiously for this device to land in the market. 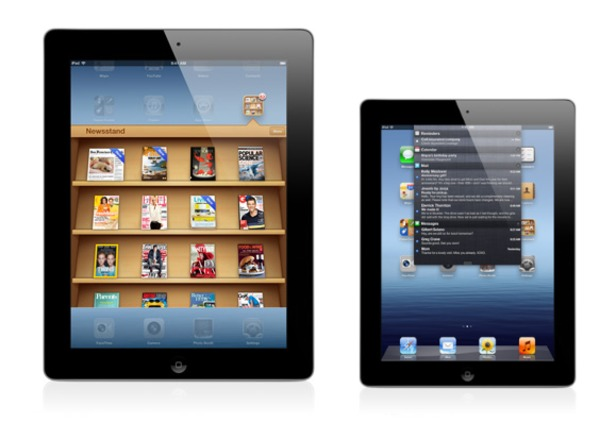 According to the latest reports, iPad Mini will be released with a 7 inch screen. However, other speculations suggest that the size can be 5 inches as well. The processor with a small but powerful 1 Ghz machine. The fans should not expect any cameras or fancy features on the device. Due to the small size and comparatively less power of the iPad Mini, it is expected to be available for $200-$250. Microsoft has announced its Surface Tablet in mid June in a ceremony in Los Angles. 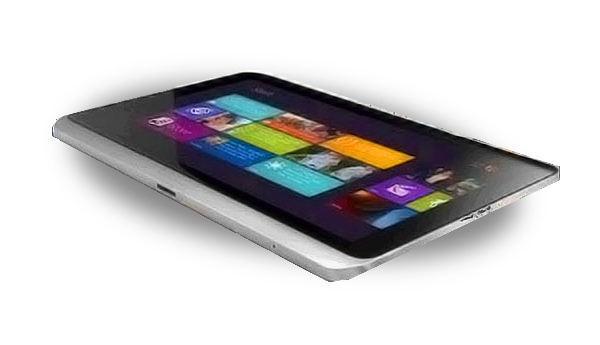 This windows 8 powered tablet is expected to put up a tough competition against Apple’s iPad. Let us take a look at the specs. 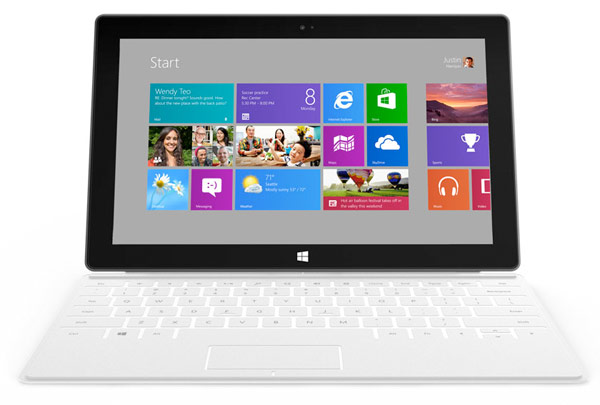 The 862g Microsoft Surface Tablet will be driven by the latest Windows 8. A 10.6 inch screen and Gorilla Glass display makes it look quite amazing. It has an impressive resolution of 1920×1080 pixels. Moreover, USB connector is also featured in the device. Microsoft is looking to maximize the profit from this tablet by introducing track pad and magnetic covers which will be bought by almost everyone purchasing the gadget. Last year did not go well for Hp as their tablet business totally failed. So this year Hp has decided not to repeat the poor show and is working on a powerful and stylish device named as Hp Slate 8. It has been leaked that this tablet will be thinner than Apple’s iPad. Now let us take a look at the specs to know its power. According to rumors, Slate 8 is coming with a standard 10.1 inch screen supporting multi touch and digital pen input. As it is reflected from the name, it will be powered by upcoming Windows 8, that will make this device to stand in the elite line of products by Hp. Hp Slate 8 will be 9.2mm thick with full aluminum body. Its weight is just 0.68kg which is a very positive point in the specifications list. The security level of this tablet has been kept very high with some useful security protection apps including HP Protect Tools and TPM Embedded Security. Computrace will also be available in the tablet which will help you if you have lost the device somewhere. Acer is also releasing an Android powered tablet later this year by the name of Acer Iconia Tab A110. This tablet is actually an upgraded version of Acer Iconia tab A100. It has been improved from every angle to provide the users with the best tablet experience. As compared to other upcoming tablets, it is a bit smaller in size and has a screen size of 7 inches. It has an impressive resolution of 1020×600 pixels. Along with Android 4.0 Ice Cream Sandwich, Quad core 1.2GHz NVIDIA Tegra3 processor is working under the hood. Moreover, 1GB Ram and 8GB memory is available in the slim device. This memory can also be extended up to 32GB by using Micro SD and other memory cards. All the required sensors and connectivity features like Bluetooth, Wi-Fi and USB are built into the Acer Iconia Tab A110. Author: Saad Riaz Qazi is a passionate blogger from Pakistan who runs a Tablet News website. He covers news and reviews related to currently market-popular, upcoming tablets. You can also buy tablets and other accessories from his website. 5 Best Phones in the U.S.